Our MLS members get a direct feed to Homes.com and our agents appear at the top on their listings. Leads go directly back to the listing agent. Sign up now to take advantage of this direct feed. When a potential customer finds your listing on Homes.com you are placed as the top agent on your listings. The contact form on the side of the listing is sent directly to you. This means more potential leads. In addition you will be able to access the Homes.com dashboard which can be used to track your listings and access other features. † Homes.com has its own display policy and feed practices. 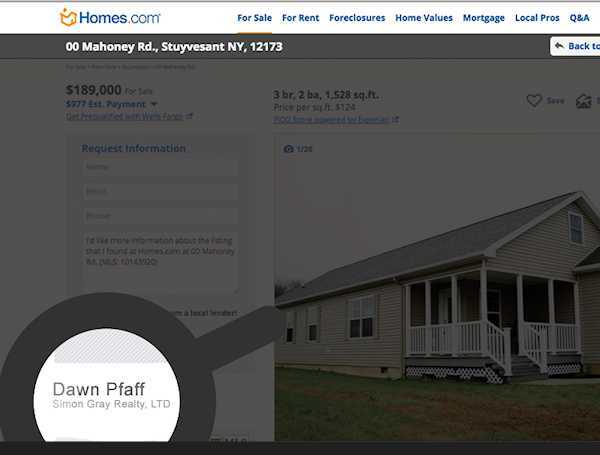 Not all listings will appear on Homes.com as Homes.com limits listings by property type, prohibits commercial listings and does not take duplicate listings. The member's firm must participate.